When a Frenchman […] says to other Frenchmen, “The country is done for”—which has happened, I should think, almost every day since 1930—it is emotional talk; burning with love and fury, the speaker includes himself with his fellow-countrymen. And then, usually, he adds, “Unless…” His meaning is clear; no more mistakes must be made; if his instructions are not carried out to the letter, then and only then will the country go to pieces. In short, it is a threat followed by a piece of advice and these remarks are so much the less shocking in that they spring from a national intersubjectivity. But on the contrary, when Fanon says of Europe that she is rushing to her doom, far from sounding the alarm he is merely setting out a diagnosis. This doctor neither claims that she is a hopeless case— miracles have been known to exist—nor does he give her the means to cure herself. He certifies that she is dying, on external evidence, founded on symptoms that he can observe. As to curing her, no; he has other things to think about; he does not give a damn whether she lives or dies. Because of this, his book is scandalous. Now the French Empire has long passed into history. But even today, Fanon’s book is not always a comfortable read. His advocacy of violence as an acceptable, even necessary, tool of the anti-colonial struggle runs directly counter to the teachings of other famous opponents of Empire and racism, such as Gandhi and Martin Luther King. In this new Talking Empire podcast I talk to Professor Martin Thomas about the significance of Fanon and his revolutionary idea. Previous The First World War and the US State Dept. There is nothing shocking about Fanon’s work especially at the time it was written. it was colonial period but also when communist ideals were used decipher the wisdom decolonization. 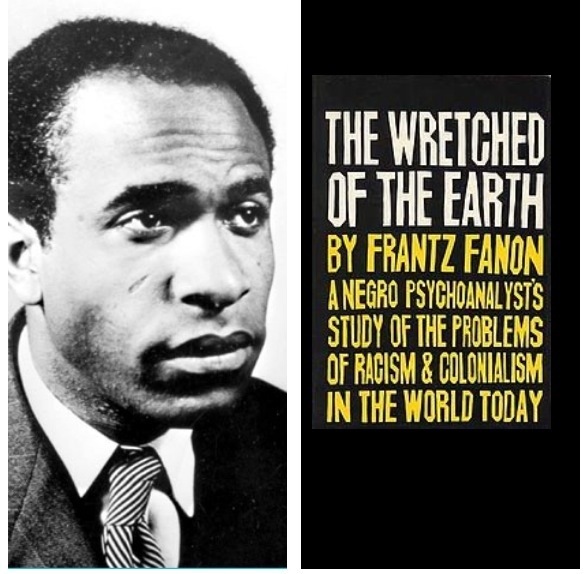 That was not all, as a black man Frantz Fanon was still very much concious about the attachment of slavery, colonialism, racism and rising imperialism fuelled by capitalism.